Finally! A new pixelmator tutorial after several months waiting. So sorry for the delay, I have a lot of other projects going on that needed my attention first. 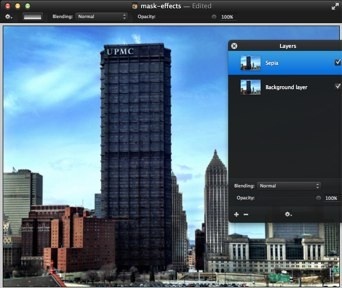 But now we’re back with a new Pixelmator Tutorial on the longest running Pixelmator tutorial website. In this tutorial I will show you how you can put the whole world in your hand. Well.. sort of. In this case we’re going to put a part of this map in this hand. Now and then, you may want to apply an effect to only a portion of an image rather than the entire picture. This can be accomplished using layers and masks. The process is essentially to duplicate the background layer, apply the effect to the duplicate layer, and mask the portion of the image where you don’t want the effect to apply. 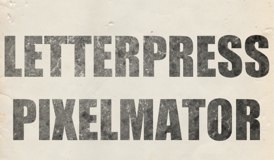 In this Pixelmator 2 tutorial you will learn a quick and easy way to give your typography an ink-stamp-style effect that originated from the old letterpress style printing technique. As a bonus, you will also learn how to accomplish the result of pasting a selection into a layer mask.